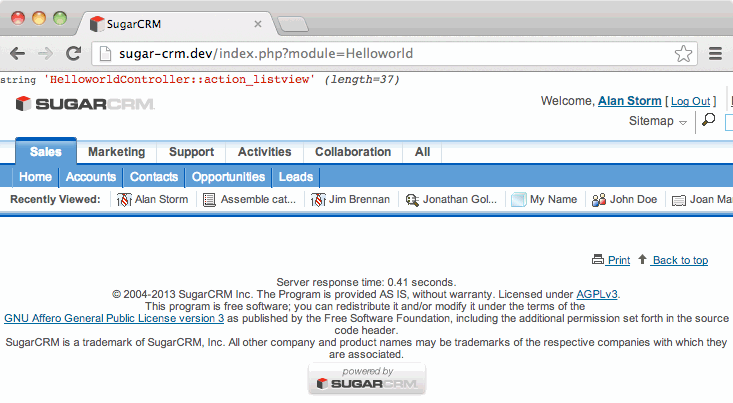 This entry is part 1 of 3 in the series SugarCRM for PHP MVC Developers. Later posts include SugarCRM Models, and Sugar CRM Model Auditing. Business programming frameworks are, as a rule, awful. Whether you call it “agile”, “scrum”, or “my chaotic job where no one seems to be in charge until a crisis hits and there’s always a new crisis”, the story of business software development over the past 10 years has been doing more with less, attacking the immediate problems now, and letting the long term problems sort themselves out via human intervention — even if that intervention needs to happen at 1:45 AM on a Saturday. While this has been a smart move for quarter-to-quarter business metrics, it leads to chaotic system code, which is maddening for a professional programmer who needs to work with these sorts of systems. By “professional programmer” I mean me, and by “these sorts of systems”, I specifically mean SugarCRM. SugarCRM is a “Customer Relationship Management” system built with PHP. If Magento is a system where the developers took their abstractions a little overboard, then SugarCRM is the system where business took “ignore the developer’s concerns” a little overboard. The result is a chaotic code-base with competing engineering visions that’s difficult for a newcomer to jump into. Despite that, under the cruft and chaos, there is an MVC system in play, and understanding that system is your first step towards mastering SugarCRM programming. With business relying more and more on the sort of business intelligence you can extract from a CRM, SugarCRM seems like a good tool to have in your belt. 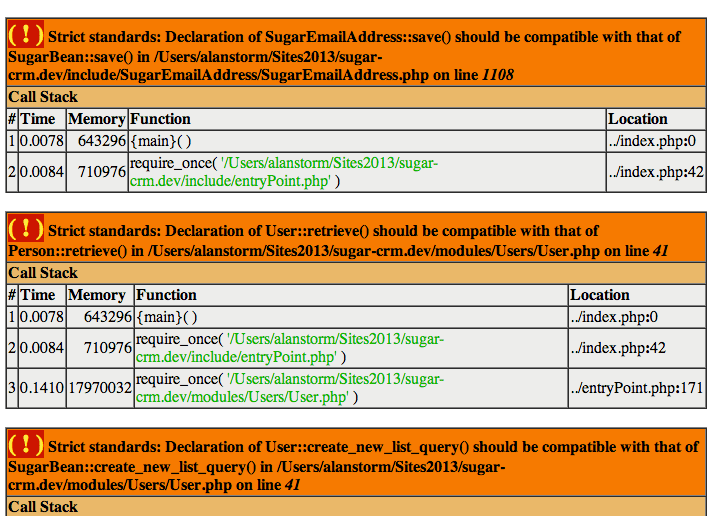 Over the next few months I’m going to be exploring SugarCRM’s core code from the point of view of a PHP MVC developer. These tutorials won’t be for everyone, but if you’re the sort of developer who needs to understand where all the pipes are going, then this series is for you. Before we get started, a quick note about your development environment. 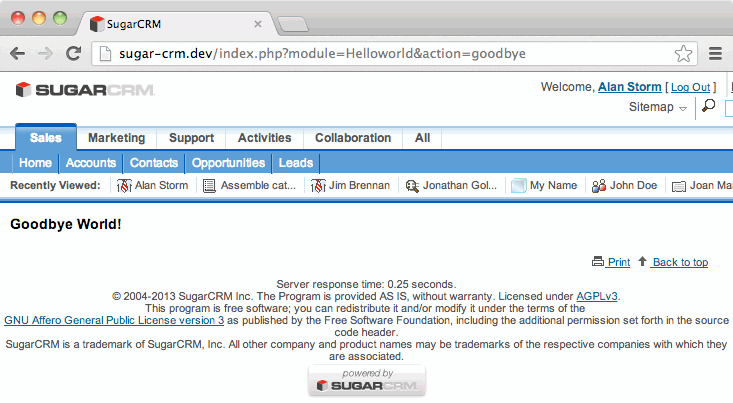 SugarCRM was originally written in a PHP 4 world, and much of the code still uses PHP 4 idioms. Running SugarCRM with a modern version of PHP will result in a number of warnings being generated in your error logs, as well as in the browser if display_errors is set to true. This is a perfect example of how a good business decision results in questionable engineering. Rather than refactor this code to use modern standards, the SugarCRM team handles the problem by setting strict system requirements and recommending users set display_errors to Off. I know this is a bad idea, you know it’s a bad idea, but in certain business cultures it’s a hard sell to take on a refactoring project when there’s no direct line to a revenue stream. For now I’m leaving my PHP error reporting cranked as high as it goes and keeping display_errors off. The ambitious among you might try creating a custom PHP error handler to filter these out, but that’s another topic for another day. Also, the following code example were testing against SugarCRM CE 6.5.10, but the concepts should apply to all recent versions of the platform. The SugarCRM development culture seems to shy away from understanding how the three items are implemented — the system ships with a module builder application that auto generates the PHP code a developer needs, and the core system code is built around supporting the module builder. We’re going to be taking the slow boat on this one. 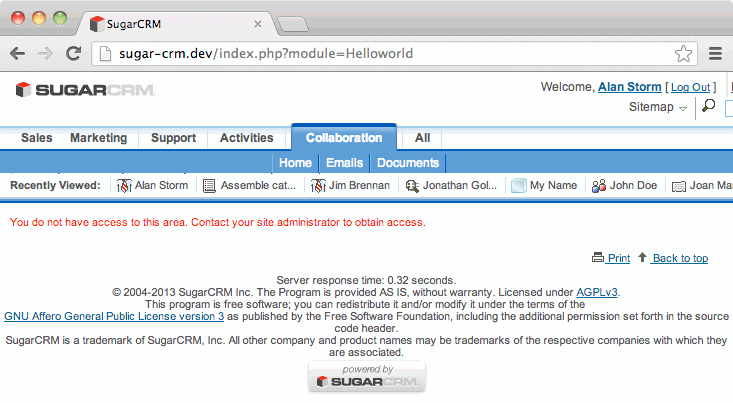 After enough articles we’ll eventually reach SugarCRM’s idea of a “module”, but for now think of SugarCRM as you would any other PHP MVC system. 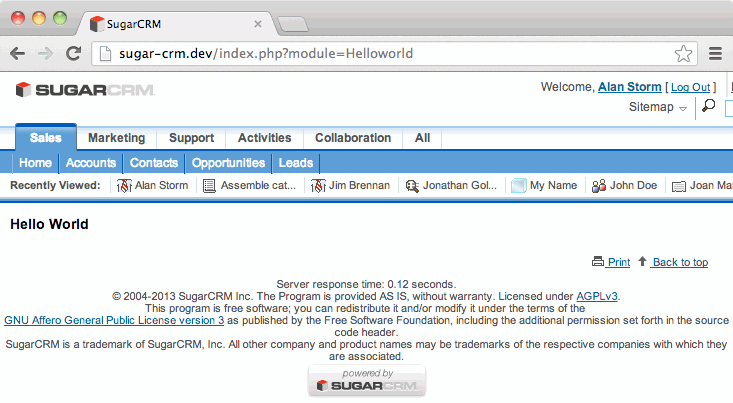 The first shock an MVC developer faces when working with SugarCRM is there’s no URL based routing. SugarCRM requests do all go through a single index.php file, but it is query string parameters that drive which controller/action method combination is used. and you land on the default accounts page. That is, we’ve added a single query string to the URL named module, and set its value to Accounts. In other words, the default page for the Accounts module. 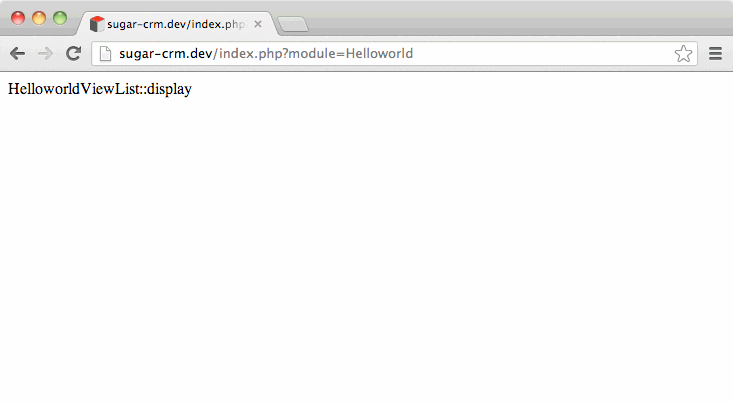 Error: Module Helloworld does not exist. That’s because (duh!) we haven’t added any code for our module to the system yet. You do not have access to this area. Contact your site administrator to obtain access. 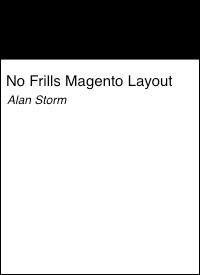 Although you wouldn’t think it, this is SugarCRM telling us it can’t find a view to display. SugarCRM is what I like to call a “view first” system. In most MVC systems when you’re creating a new entry point for your application, first you create a controller, then you add an action method, and then the action method determines which views to render and/or kicks off a more complicated rendering process. with the view type being “first letter uppercase”. Again, in our case that’s HelloworldViewList. All view classes ultimately inherit from the SugarView class. Wait, what? View class? Where’s the template file!? 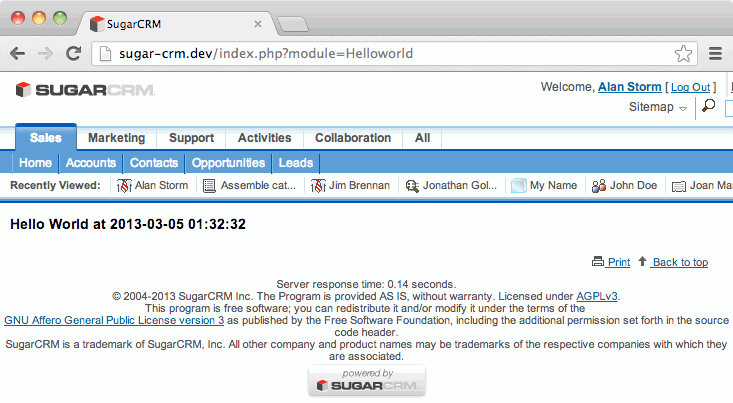 In its simplest form, a view in Sugar CRM is a class with a method named display. The display method is responsible for creating the HTML to be returned to the browser. It’s also responsible for echoing or print this output — the SugarCRM framework will use output buffering to put off output until the appropriate time. You can see this in action by changing your view to the following. you’ll see only the output from the exit. That’s because SugarCRM was holding all the output in the buffer, and normally wouldn’t release it until later in the bootstrap process. You’ll want to keep this default level of buffering in mind if you’re using output buffering yourself, plan to set any custom PHP headers, or do anything else where the timing of the output is important. I know you’re probably cringing at echoing out raw HTML — and we share your distaste. This was only a pedagogical tactic. In practice, SugarCRM views will either include other PHP files, or pass off responsibility for output to another class. you can see it’s main rendering logic is in the included PHP file modules/Home/index.php. you’ll see it ultimately calls the display method of another object stored in the $this->ev property. This ss property contains a reference to a Sugar_Smarty class. If you’re familiar with the Smarty PHP template system, you can use this object to render your page via Smarty templates. The point isn’t to bless one method as canonical over the others. Rather, as a developer, you need to be aware there’s a wide variety in how SugarCRM might render its HTML, but that the view object’s display method is the one common entry point for all view rendering. which in our case means HelloworldController, and all controllers extend the base SugarController. If we reload the page with the above in place, we won’t see any change in behavior. That’s because we’ve defined an empty controller with no action methods — our module is effectively using the same base controller functionality it was before. Let’s change that! Sharp eyes may have noticed something. Specifically, by adding a controller method, we seem to have lost our view! That’s because the default SugarController was setting this for us in the default action_listview method. Specifically, the line $this->view = 'list'; is what set the view type to list. Reload with the above in place, any our view will be back. The second, and more interesting, fix would be to set the view type ourselves. we can name our views anything we like. and then reload your page, you’ll see a Hello World message with the date and time included. By setting the messages key in the controller, it’s been made available to the view. Notice we’re reusing the list view, but we’re setting a different message. Remember, there’s no “smart url” routing in SugarCRM, it’s parameters all the way down. It’s not exactly the sexiest of routing systems, but using the action paramaters means you can create an unlimited number of unique pages in your SugarCRM module/system. You’ll see — the listview page? That’s because we told you a little fib — the actual default action for a controller is index. However, SugarCRM’s bootstrap process includes an action aliasing system that automatically turns the index action into listview. This isn’t something you need to worry about right now, but it’s worth knowing if you’re going to venture into the depths of SugarCRM’s application dispatch process, and is an example of how the core system code has been shaped by the needs of the specific application. The listview action is the default because most module’s default landing page is a list of all of the module’s objects. That’s the V and the C of MVC out of the way. Next time we’ll cover SugarCRM’s data Model, or as they’re known is SugarCRM speak — “beans”. Until then, happy coding, and corrections are more than welcome in the comments.